This city never sleeps. While Boston just go the T to stay open until 3 a.m. on Friday and Saturdays, New York is transporting people on a Tuesday at 4 a.m., and it’s wonderful. Boston’s bedtime is that of an old married couple having to wake up the next morning for a nine to five workday. 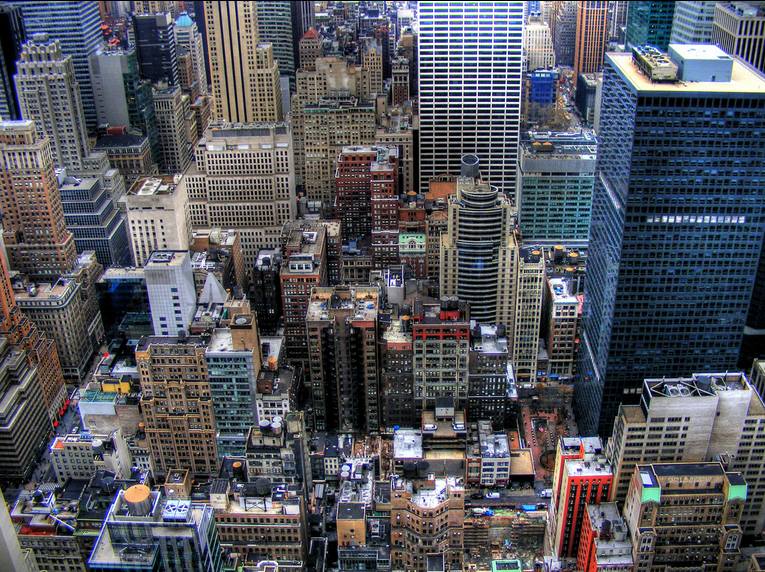 New York has nightlife, bars, events and activities at all hours. If someone told me I had to be at 42nd and 6th, I wouldn’t have to get out MapQuest, or take a cab just to avoid getting lost or being late. In Boston, the streets don’t make sense. Bottom Line. Both are gorgeous… but Central Park has a zoo. A zoo, people! 1.317 square miles of adventures, playgrounds, animals, zoos, concerts, etc. is better than 50 acres of trees. Home to the United Nations and a hub of international affairs, New York is more cultural in food, fashion and other cultural markets. 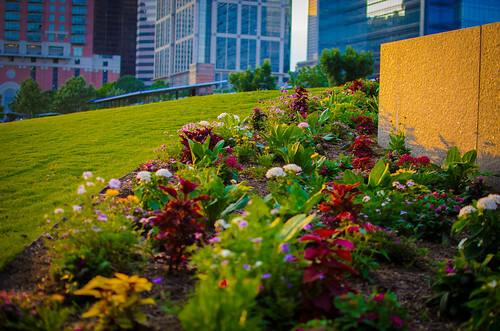 Boston is more centered on remembering the past with its strong historical background. The traffic of the Boston Marathon is the traffic on a normal day on 42nd street in New York. Boston is more livable, and while Boston is still touristy, it doesn’t stand out as much as the most populated city in the U.S. There isn’t as much pollution, and that is a beautiful thing. Yes New York has won 47 professional championships, but it’s the largest city in the U.S. Boston is the 21st largest city in the U.S., and has won 34 professional championships. Go Sox. Go Bruins. We win. 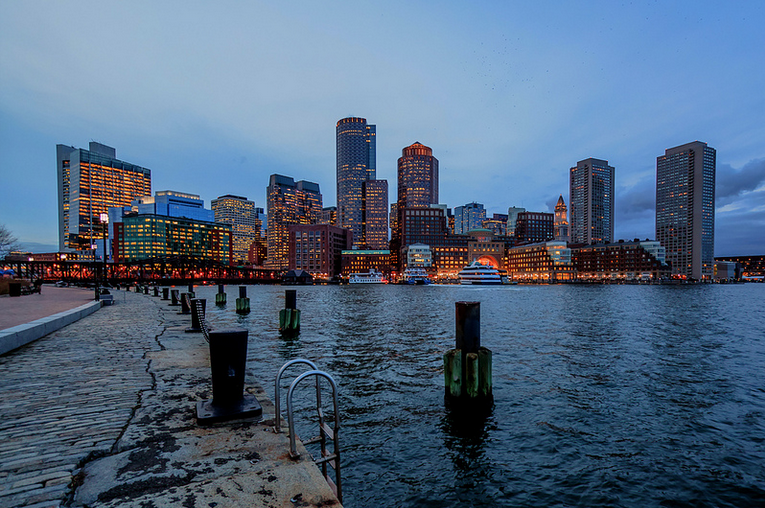 Home of the Boston Massacre, Boston Tea Party and many other significant moments of the American Revolution, there’s so many historical sights to see. We also have the first public school in the U.S., the first subway system and the Boston Common is the oldest city park in the U.S.
And most importantly, Boston is home to BU, the best school ever! So, we win. 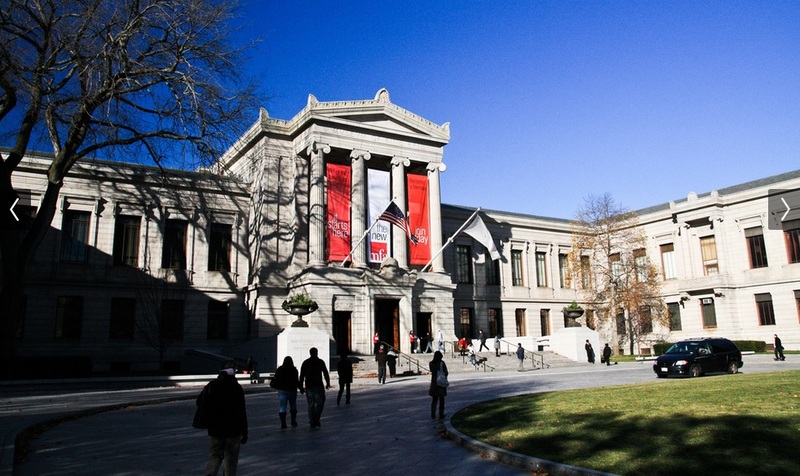 The Museum of Fine Arts (MFA) in Boston is free for college students, only a short distance from Boston University and has a lot of neat exhibits on display right now that are really worth checking out. Here are a few that can only be seen for a short time! Did I mention admission is free with your BU ID? Flags sewn in response to the 2013 Boston Marathon bombings are on display in the Shapiro Family Courtyard this month. The MFA brought back the display as the one-year anniversary approaches. More than 1,700 flags were sewn with words of encouragement and thoughtful designs to show love and peace to the Boston community. These flags come from all parts of the world, and show global support for Boston. On display in the Henry and Lois Foster Gallery until July 13, “Permission to be Global” features Latin American art from the Ella Fontanals-Cisneros Collection. It shows what it means to be global today and includes paintings, photography, video and performance art. 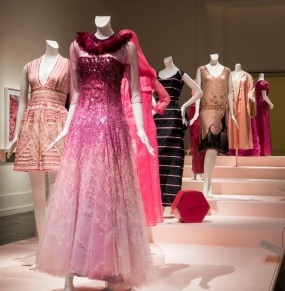 “Think Pink” explores how the color pink has changed in meaning and has influenced art and fashion over time. It’s on display in the Loring Gallery until May 26. The exhibit includes dresses, men’s clothing, jewelry, accessories and paintings. In the Ann and Graham Gund Gallery until July 27, “Quilts and Color” features approximately 60 quilts of bright colors and designs. Artists Paul Pilgrim and Gerald Roy put together the collection to show the work of mid-20th century art. With hours upon hours of exhibits to explore, be sure to check these out before they are gone! These displays can’t be seen anywhere else! Hey there, terriers! How was your week? Terrierific? Terrierble? I can’t think of a third “terrier” pun, so we’ll end that train of thought there. Spring has most definitely sprung, and I couldn’t be happier. So let’s celebrate quickly because we all know that eventually it will be winter again in Boston, and that thought is terrifying — I guess I did have another “terrier” pun. Nailed it. Yay! Kesha is back, and I love it. The star has dropped the “$” from her name and seems to be pursuing a more natural vibe. She performed in the Best Fest’s Petty Fest at the El Rey Theatre in Los Angeles. The performance comes on the heels of her first post-rehab red carpet appearance at the Humane Society Benefit Gala, where she looked healthy and beautiful, glowing in a sparkly dress. Kesha went into rehab seeking treatment for an eating disorder, and ended up staying two months. While a proponent for loving yourself, Kesha found it difficult to practice, and we love her for putting her physical and mental health first. Welcome back, Kesha! David Letterman, the longest-running late night host in TV history, is ending his 30-year reign in 2015 when his contract expires. The decision is something that he has been discussing with CBS president/CEO Les Moonves, and it’s not entirely unexpected. Last year, Letterman renewed his contract for only one year, leading many to speculate that the end was near. His departure will leave a hole in the heart of television as we say goodbye to this late night staple. There has been no word yet on who will potentially succeed Letterman. Nicole Polizzi is expecting her second child with fiancé Jionni LaValle. The news came shortly after it was revealed that her best friend, Jenni Farley, is expecting a baby girl with her fiancé Roger. Polizzi and Farley appear on their show “Snooki & JWOWW” together, and always planned to be pregnant together. Snooki didn’t release the knowledge of her pregnancy to the public until her second trimester, but the news was leaked by an undisclosed source to the press. Polizzi is already the mother to Lorenzo Dominic, 19 months, and wanted for her children to be close in age to each other. It came, we saw, and it conquered our emotions. The finale to the long-running, intensely addicting, wildly popular “How I Met Your Mother” ended on March 31, 2014. Have you recovered yet? The finale was controversial, and if you didn’t like it, you may have a second chance at the ending. The creators of the show, Craig Thomas and Carter Bays, announced that there will be an alternate ending to the series. “We were in the HIMYM edit room, trying to decide between two very different endings,” Bays tweeted, “We chose the ending we chose and we stand by it. But we loved the other version too.” The alternate ending will be released with the DVD set of the show’s last season. If Lupita is my queen, then Miley Cyrus is my religion. She came to Boston Wednesday night on her Bangerz tour, and by all accounts, the show was a watershed moment. Miley’s dog Floyd died two days previous to the show and the singer was distraught, taking to Twitter to voice her heartbreaking sadness. However, she promised to “try her best to be her best” for her Boston fans and she did not disappoint. Although the evening was fraught with sadness and a tear-jerking moment when Miley broke down and clutched a massive blow-up version of Floyd, she never ceased in her desire to put on an amazing show. Opinions on Miley are split, but I think we can all agree that her performance Wednesday night showed her strength, bravery and beauty. Miley, I applaud you. It’s hard to believe that Facebook has been around for a decade! That’s over half my life thus far. To be honest, I can hardly imagine life without Facebook and I’m sure that most college-aged students would agree. In celebration of spending 10 years online Facebook has launched “A Look Back,” a neat little personalized video of highlights from the user’s time on the site (soon you can edit it!). It starts off at the beginning, stating when you joined and then it goes through your first moments (embarrassing photos from middle school), your most liked posts, and the photos you’ve shared. And while this 62 second flashback is happening, nostalgic instrumental music plays in the background. It’s almost like watching a wedding montage between you and your Facebook profile. Let’s face it, whether we want to admit it or not, we’ve basically been in a relationship with Facebook for the past few years. We’ve used it to stalk our exes (we’re all guilty of it and we know it), keep in touch with friends back home and get to know our college classmates. As someone who couldn’t visit Boston University before move-in, Facebook was how I got to know more about on campus groups, academics and campus life in general. 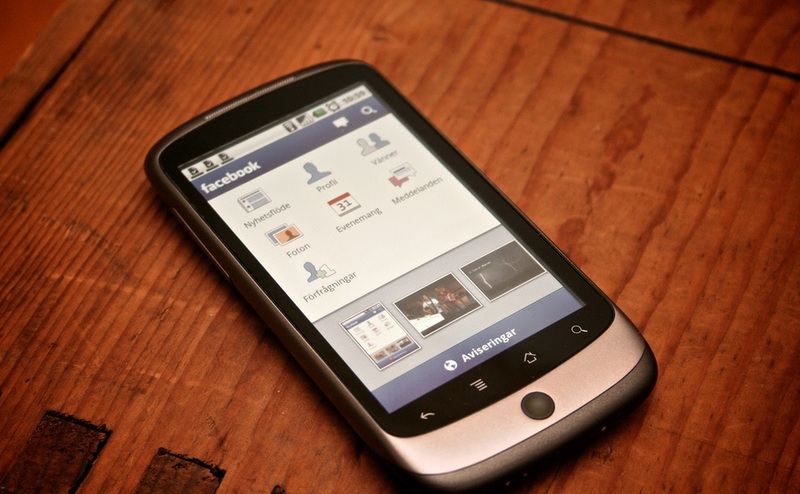 Facebook is used for much more than just personal profiles: political campaigns, fundraising and outreach are all different instances that individuals and companies have used Facebook for something other than connecting with friends. I’ve seen my friends post links to help disaster relief or raise money to support the fight against cancer. Last April, when the Boston Marathon bombing happened, Facebook was a way for friends and family to reach out to one another. Here is Facebook’s 10 stories that they shared to give users a feel for how Facebook has been changing lives for 10 years. Though this social media site does not define our generation, it is a reflection of who we are and where we are going. Although the idea of dueling pianos tends to share connotations with a Bugs Bunny cartoon, in reality the act of playing music in a pair or group brings unlikely groups together. In this instance, that divide is the Charles River separating Boston University and Harvard. For the first time, BU and Harvard students played a joint recital at Boston University’s Tsai Performance Center, as part of the Two Piano Project, a collaborative effort between piano programs at the two schools. The projected was formulated last summer by BU’s Piano Department chairman Boaz Sharon, BU doctoral candidate Anna Arazi and George Ko, Co-President of the Harvard College Piano Society. When asked what his personal goals were for the evening, Lee kept it simple: to play well, and to tell a story. The Two Piano Project turned out to be quite a treat, especially after several pianos hit the streets of Boston last Fall for the “Play Me, I’m Yours” art project. I knew that coming to a city like Boston for school would be a great opportunity to meet plenty of people my age, learn about a historical city and become independent from my parents. One thing that especially appealed to me was the idea of getting to see snow all winter long. I’ve certainly seen snow before on a couple different accounts, but seeing it snow more than once in an entire winter is completely new to me. Sure, it’s hard to give up the mild winter season I’m used to in the South, but the Boston snowfall feels like magic. I always thought the song “White Christmas” was a far-fetched hope, but it turns out, it actually does happen in Boston! There’s really nothing like opening your dorm blinds and seeing the streets covered in patches of white. 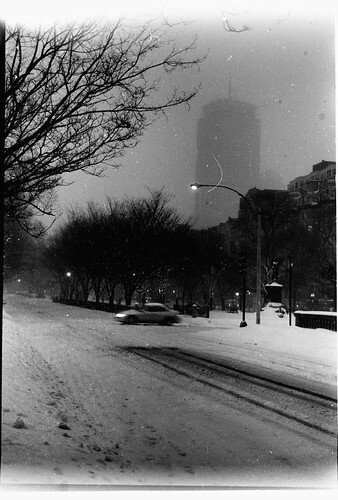 That was my first experience in snowy Boston. It feels ethereal, especially to someone who’s not used to the temperature dipping below 40 degrees the entire winter season. When I was able to go outside (I finally got to break in my brand new snow boots! ), the snow was still falling. During my first few moments, I just stood there on the sidewalk: breathing in the crisp air, feeling snowflakes fall onto my coat and soaking up this lovely winter day. Unfortunately, after walking in it for two minutes, the snow became less phenomenal. The flakes were getting in my face and blinding me, I didn’t have a hat to protect my hair from getting snowed on, and taking out my iPod to listen to some music was a big no-no. My first snow day in Boston is definitely something I’ll remember for a while. It wasn’t all pleasant, but it represents the kickoff for all the other snow days I’ll get to experience during my time here. For future reference, I’ll know just how to enjoy the winter weather: by staying inside, sipping on some peppermint tea, and enjoying the snowy view from a comfy spot. After spending three months working at BU, I was more than ready to take a break. I was so excited to go back to Texas for a week that I never realized how much I would miss Boston, the place that had grown to be my new home. Sure, by going to Houston I’d get to meet up with old friends, see my family, and visit the amazing Galleria (twice! ), but by the end of the break I was pleased to return to school and get back to studying. My little trip brought to mind all the things that Boston has offered me and showed what I truly miss the most about Beantown. 1. 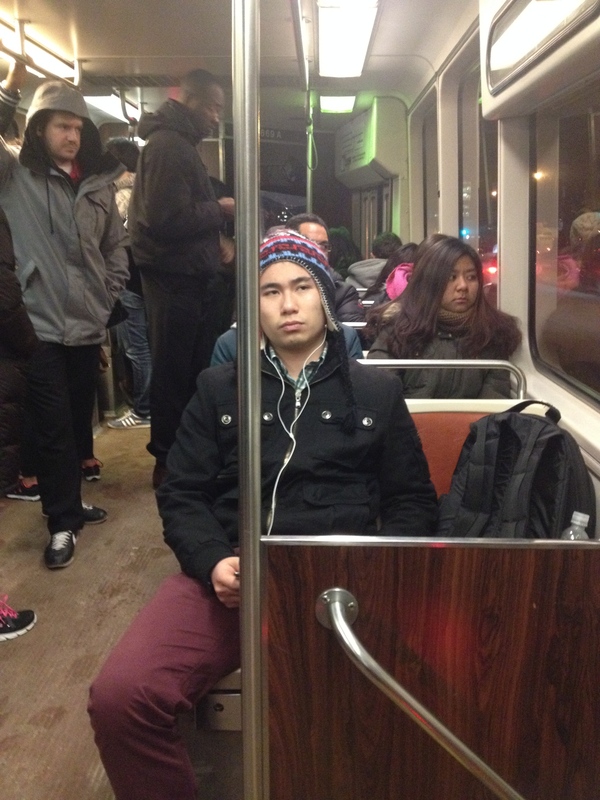 The T – Getting behind the wheel was a huge treat during my few days back home. But one thing I really disliked was always having to find a darn parking spot. Public transportation is basically nonexistent in Houston, so going to the shopping center a few miles away meant getting in the car, driving over there, and searching endlessly for the closest parking spot which was two lots over. 2. Having every type of cereal I could want whenever I wanted it – While sitting at home one afternoon, I began craving a huge bowl of Cinnamon Chex and Sargent Choice granola (if I could buy it by the box, I totally would). Unfortunately, the only cereal in my house was off-brand Honeycombs and my dad’s cheerios. But hey, I love cooking so I can’t really complain. 3. Being in the same vicinity as all my friends – If you didn’t know, Houston is one of the largest cities in America, with a circumference of about 60 miles. With friends from all over the place, it’s hard finding a good time to see a buddy who lives 20 minutes away. Here at school, if I want to meet up with someone, they’re just a quick text away. And if you’re one of those lucky souls whose house is down the street from their best friend’s, I tip my hat. Over the break, my dad brought up an old saying: “the grass is always greener on the other side”, meaning you may not always be happy with what you have. But being away from school has made me those things more, so that when I got back it felt that much better.